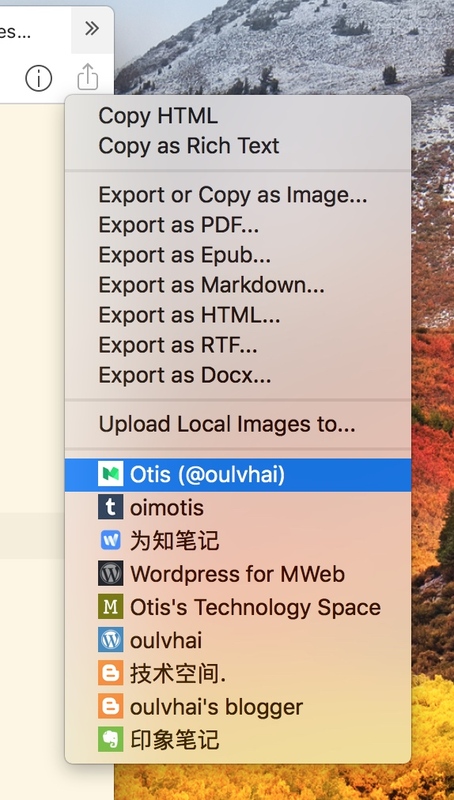 Use MWeb to publish documents to Wordrpess, services that support the Metaweblog API protocol, Wordpress.com, Evernote, Blogger, Medium, Tumblr. If you are a 2.x version user of MWeb, you can update 2.x to the latest version, then export the Publishing Services from 2.x and import it in version 3.x. It should be noted that the Evernote Publishing Service cannot be imported and must be re-added. In the current document, select the publishing service to publish to, and you can call up the relevant interface to publish. 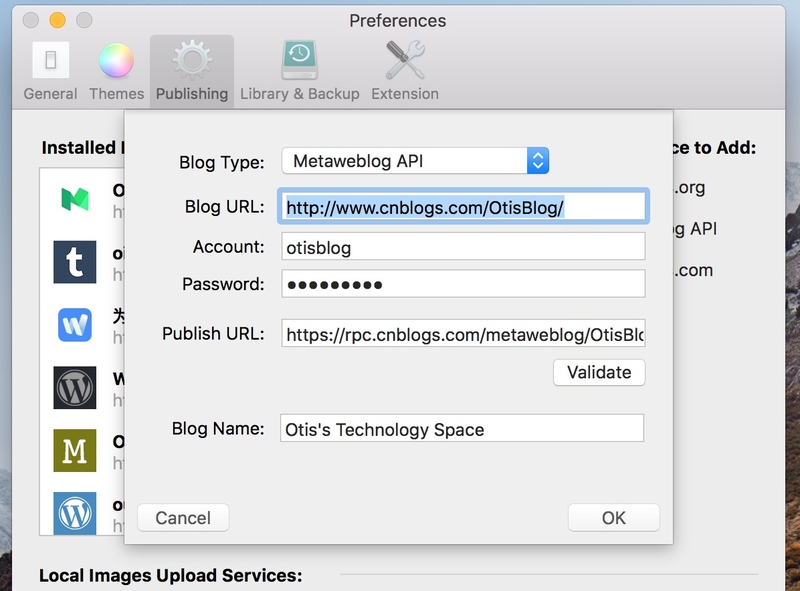 In the Add Publishing Service, select the Metaweblog API and the following interface will appear. In the pop-in project posted to the Metaweblog API, an item called "API Address" is added. Each website that supports the Metaweblog API provides an API address and fills in. 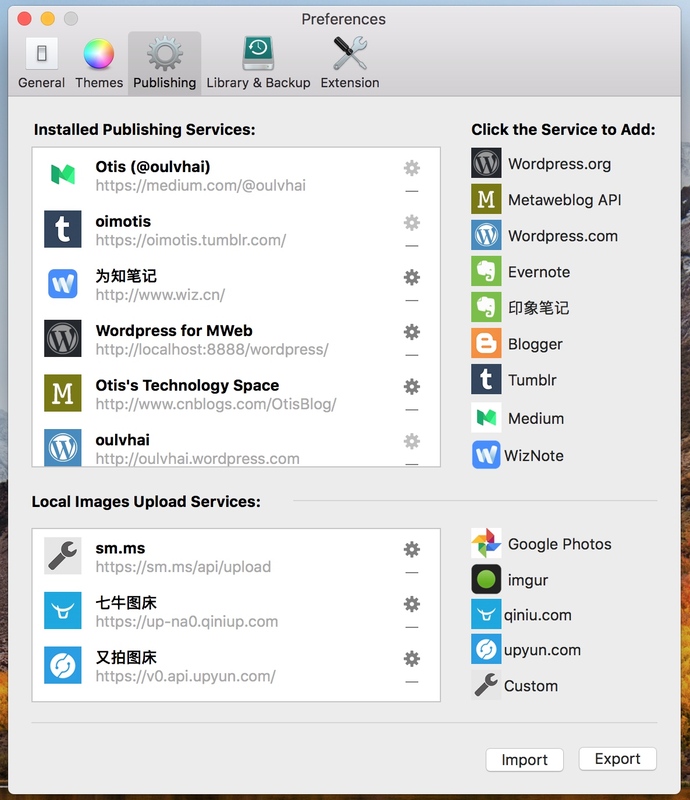 Publishing to Tumblr generally does not support uploading local images, but if you have configured the Images Upload Service, you can use the Images Upload Service to publish to Tumblr to support local images, as shown below, select a Images Upload Service when publishing.